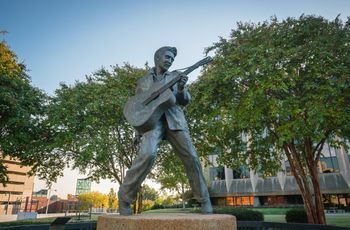 If you’re opting for a more intimate wedding in Nashville, you’ll want to check out these smaller venues, all ideal for a more personalized celebration. A Nashville wedding doesn’t need a ton of guests to be incredible. Smaller weddings can be cozy, intimate, and oh-so-wonderful. And fortunately, there are lots of small wedding venues in Nashville, TN that are perfect for more intimate wedding celebrations (under 150 guests). What’s particularly special about these small wedding venues in Nashville is that your guests won’t feel overwhelmed by a too-large space. 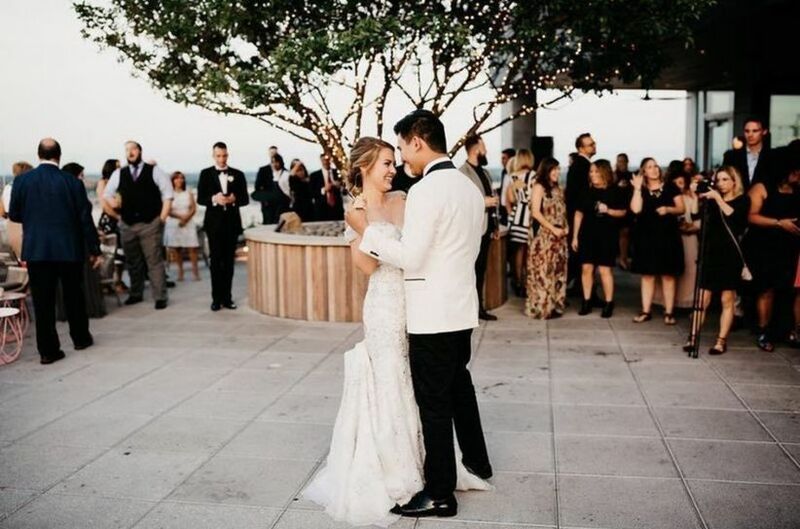 Whether you’re choosing an outdoor or indoor location, a space that’s modern, rustic, classic, or glamorous, there are lots of small and unique wedding venues in Nashville to suit your needs. (Plus, there are plenty of nearby hotels to book a room block for your out-of-town guests.) 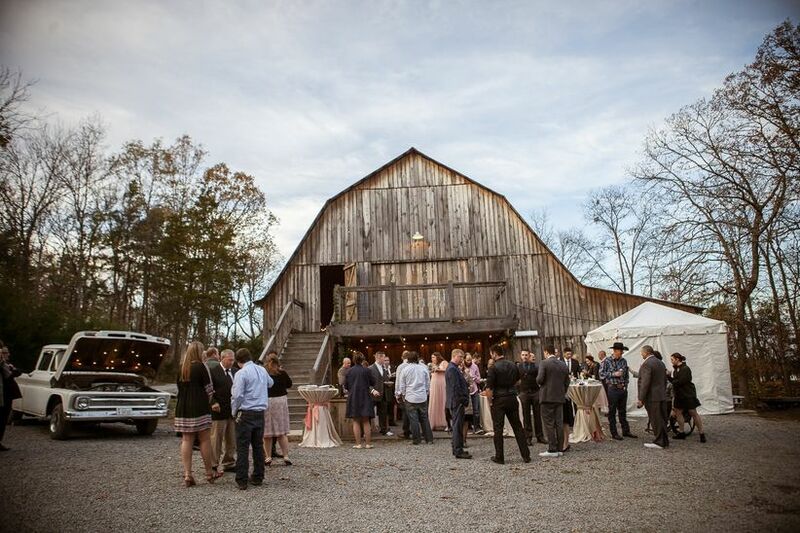 If you’re on the fence about hosting a big vs. small wedding, check out some of our favorite wedding venues in Nashville for a small wedding! And even if you’re not hosting a small wedding, many of these venues are ideal for a Nashville rehearsal dinner, too! 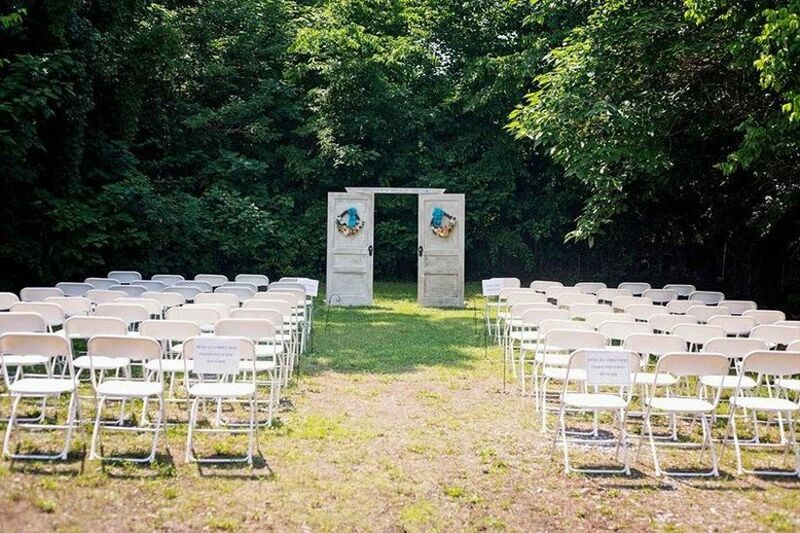 Here are some of the best small wedding venues Nashville, TN has to offer. A lumberyard doesn’t sound like the usual Nashville wedding venue, but this one is full of rustic charm and amenities. It’s definitely for more intimate Nashville weddings—the Greene Room can host 50 guests, while the barn-like Lumberyard, with its twinkle light canopy and wrought iron chandelier can hold 100. You’ll also love the outdoor ceremony space at this unique wedding venue in Nashville, surrounded by lush trees. 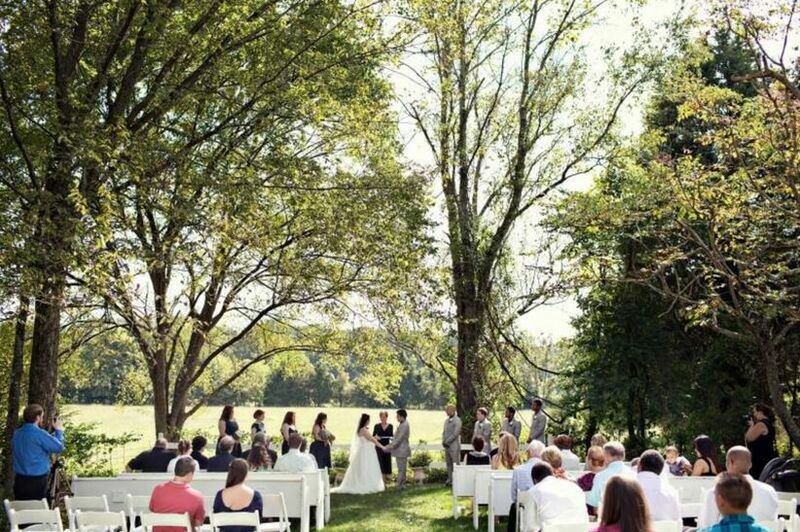 If a barn sounds like the ideal small wedding venue in Nashville, then check out this 100-acre farm in Woodlawn. The serene paddock makes a romantic ceremony space, and the charming and authentic Red Tobacco Barn is ideal for receptions of up to 120 guests. You may also hold a tented event on one of the expansive lawns. There’s also flower garden where you can take some spectacular photos or host your ceremony. 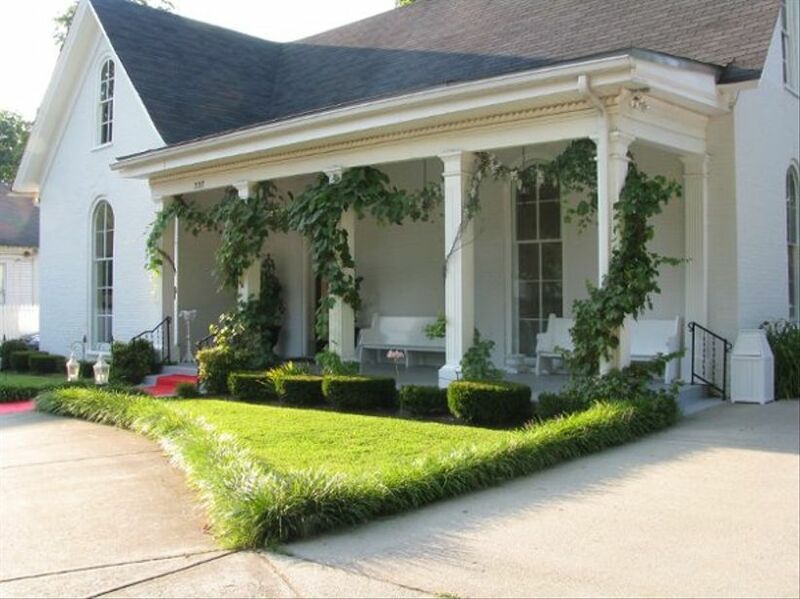 This small wedding venue in Murfreesboro can accommodate events of up to 125 guests, but also specializes in elopements. There are a variety of packages to choose from, and the historic grounds are simply exquisite. In fact, the grounds feature one of every tree native to the state of Tennessee. Ceremonies are held with the mansion itself as a backdrop, and receptions are hosted in the well-appointed Maney Hall Ballroom. Guests will love exploring the historic space, both indoors and out. Located on 82 acres in Gordonsville, Tennessee, this woodsy, nature-filled wedding venue feels intimate and oh-so private. It offers several all-inclusive packages, and specializes in relaxed, super-intimate weddings of 40 guests or less, as well elopements and vow renewals. The wedding location also can accommodate guests staying on premises for a true wedding weekend. There are several outdoor spaces for ceremonies, as well covered porches and other indoors spaces in case of inclement weather. 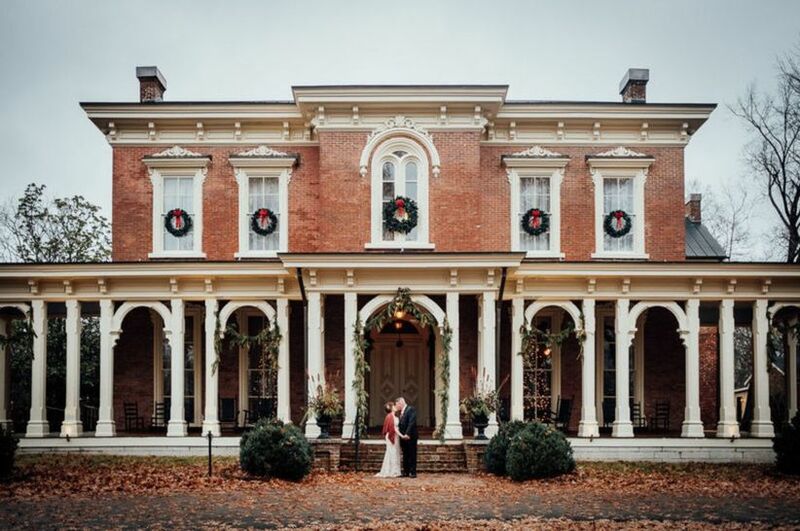 This historic home venue, which can accommodate 150 guests, is located in Murfreesboro and is one of our favorite small wedding venues in the Nashville area. It has Southern charm in spades, and offers a gorgeous wedding garden surrounded by magnolias for ceremonies. The recently renovated ballroom is totally elegant and ideal for a classic wedding. Carriage Lane Inn also offers in-house catering, and lots of lovely spaces for photo ops. This Art Deco boutique hotel is a luxe small wedding venue in Nashville, with space for up to 120 guests. The Saidee Gallery is the most popular, and largest, site for weddings, featuring 15-foot ceilings and lots of natural light. The hotel itself is conveniently located, so it’s ideal for out-of-town guests, and there are smaller spaces available for rehearsal dinners, showers, and more. Restaurant wedding venues are among our favorites—the food is fabulous and the décor is already in place, so you won't spend a ton to decorate. 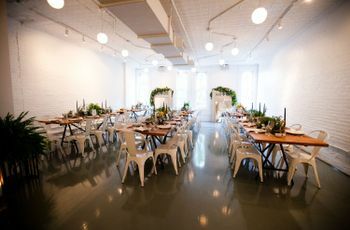 If you’re a fan of restaurant weddings, check out this space at the Readyville Mill in Readyville, Tennessee. You can host a riverside ceremony in one of the gardens, and your reception at the restaurant. 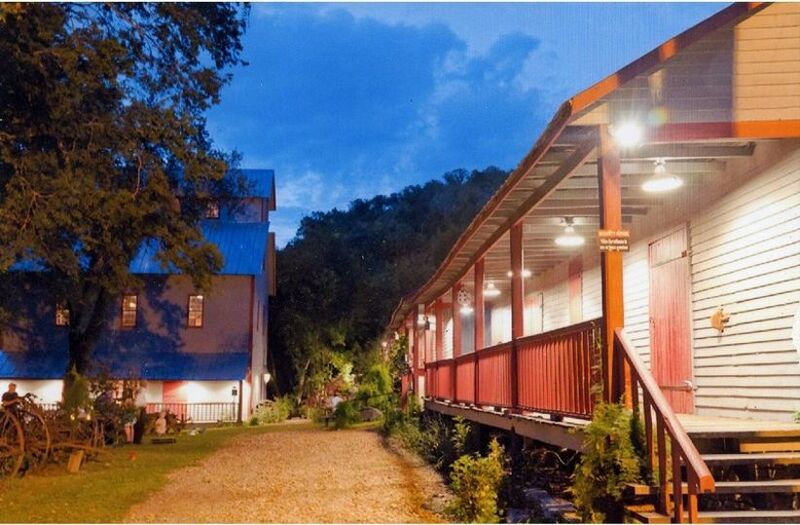 Goodness Gracious at the Mill can accommodate up to 125 guests for wedding ceremonies and receptions. 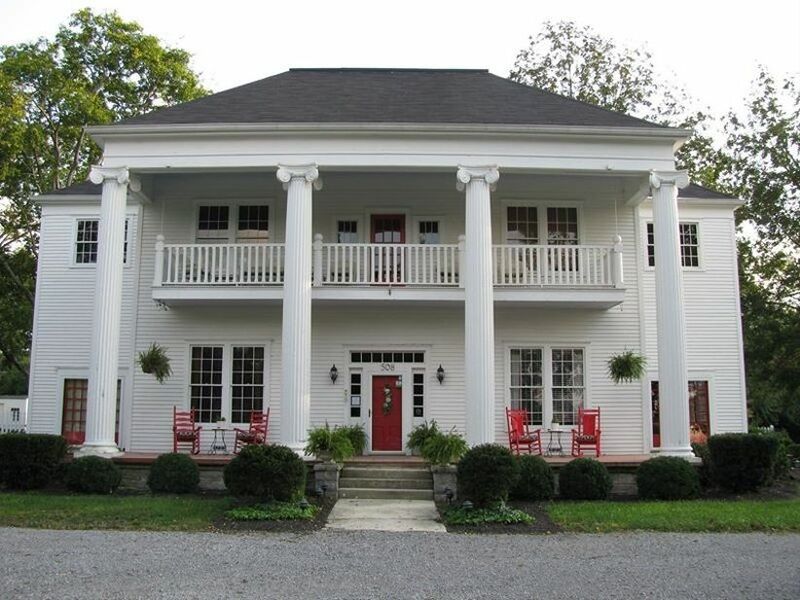 This Greek Revival mansion has lots of vintage charm, perfect for a wedding with retro flair. 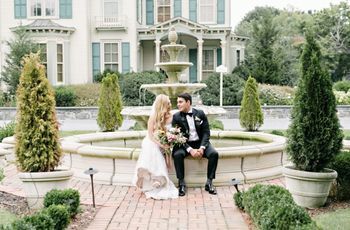 This small wedding venue in Nashville offers both indoor and outdoor options for weddings, and we particularly love the fact that there are rooms named for old Hollywood stars (like Frank Sinatra and Sammy Davis Jr.!). This is another venue that is for the most intimate of weddings—it can host about 25 people. 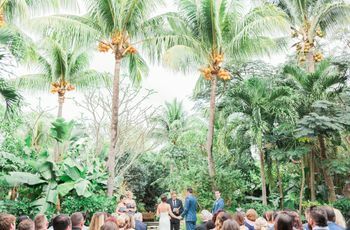 A family-owned venue in Lascassas, this venue includes lots of scenic outdoor space (hello, amazing photo ops!) and a wood pavilion to make all of your rustic wedding dreams come true. And the fact that the venue is owned by a catering company means the food is sure to be delicious, whether you prefer a formal seated dinner, buffet or food stations. Couples praise this venue’s accommodating staff and beautiful space. 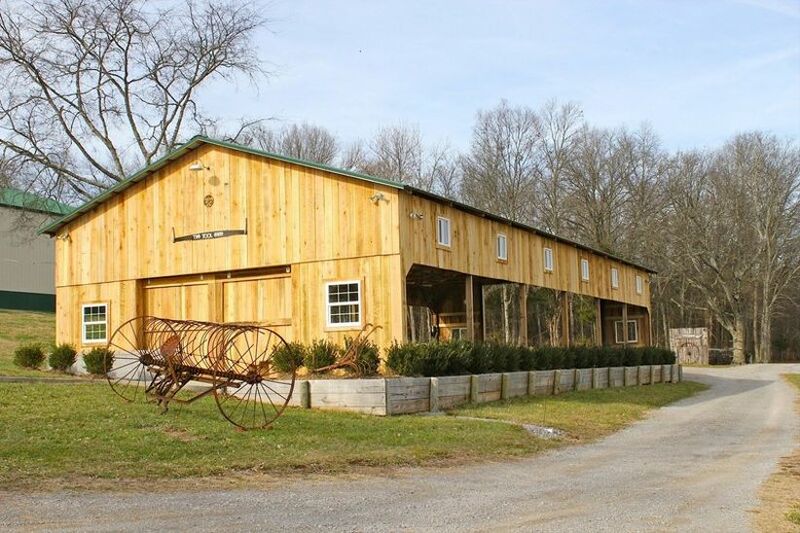 One of the most popular small wedding venues in Nashville, TN, this barn can accommodate up to 150 guests. 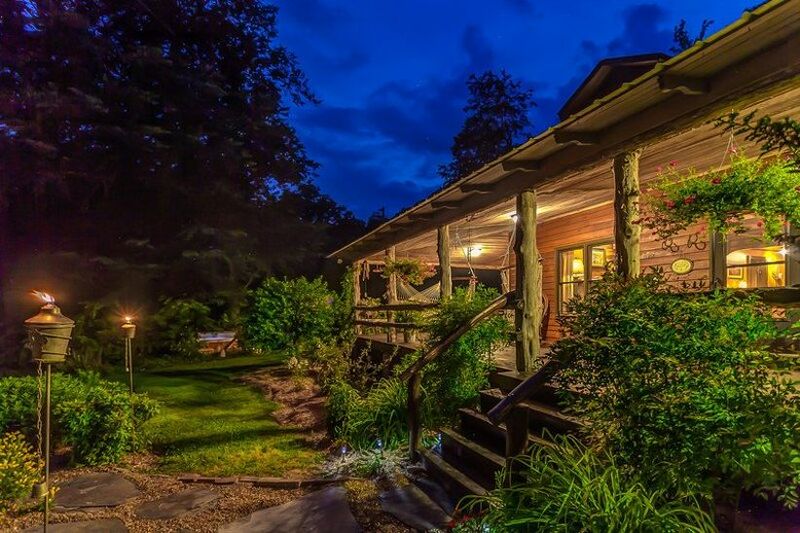 Located in Murfreesboro, The Wren’s Nest is ideal for nature-inspired, rustic, and boho chic celebrations. 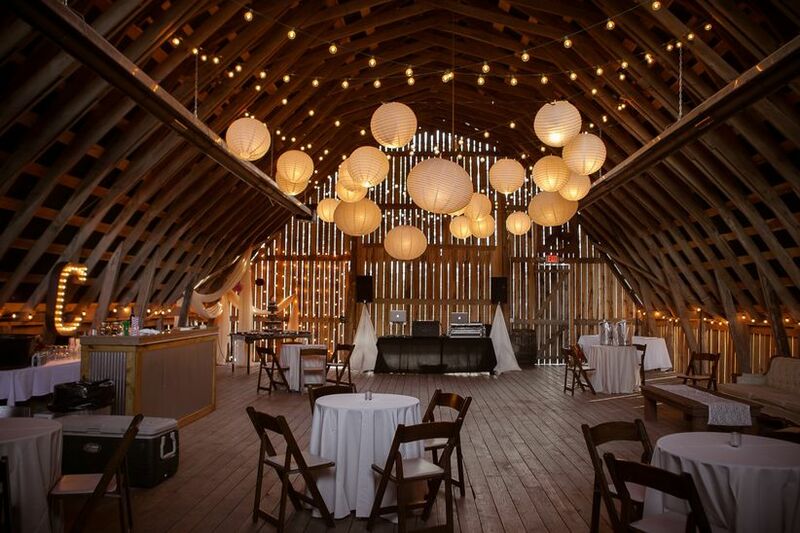 There’s a two-level barn with 4,200 square feet of space, and a stunning woodsy outdoor space for ceremonies. We also love the getting ready spaces—in the barn for the bride, and in a separate log cabin for the groom. 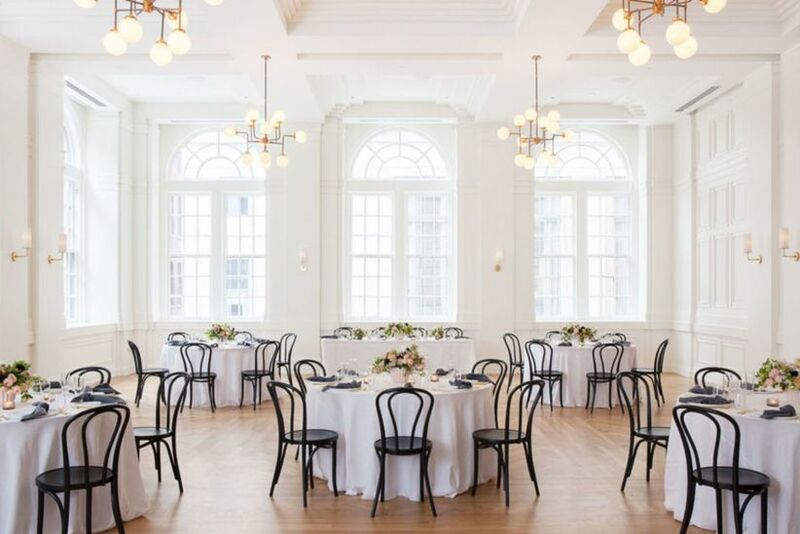 If you’re looking for a venue that combines convenience and style, but is intimate enough to host a smaller event, you’ll love this downtown Nashville wedding venue, which can accommodate weddings of up to 125 guests. The Goldtop Ballroom can accommodate both ceremonies and receptions and features its own terrace. There’s also the L.A. Jackson Rooftop Bar, ideal for laid-back, hip events.